END OF YEAR POSTS TIIIIME!!! MUAHAHAHAHA!!! Really, has it been a year already? 2015 has literally flown by, passing like a ninja in the night and leaving behind little more than a flutter of wind in its place. That said, a lot has also happened this year, the good, the bad, the brilliant, and as per every year in this world of music and happiness, it is the Idols we watch and adore who have made the year what it is, and for this years bout of End of Year posts, where better to start than an Idol Ranking list, hm? This year there is a little twist, however. In order to get a better idea of who made whose year wonderful when it came to the Idols we love and adore, I asked my readers and friends who they would pick as their top Idol of 2015, and for whoever garnered the most votes, well, they would obviously top the tree and become the star of this post, as well as the star in the hearts of many. And despite conducting this fan vote pretty late in the game, it did gather quite a few votes, with quite a few names I expected, and some that I didn't, so to all who happened to put a name down in there, I sincerely thank you! It's great to see you all vote for an Idol you love and adore, and even if they don't win this one, I am happy to see that you have voted for someone, and given us new names to look up and potentially fall in love with, too! That all said and done, whilst doing this fan ranking was certainly a fun thing to do, I may not conduct it ever again... not unless I decide to ban H!P from future fan rankings, that is. Note* This ranking includes Idols active in Japan, and under agencies. People who have been voted for that are not Idols (for example, my friend Vivian and myself were actually voted for XD THANKS GUYS!) will not be included in this list. Apologies, but this is how it was going to be from the get-go. SORREH!!! The latest to of the Hello! Project clan to announce her departure for the coming year of 2016, Tamura Meimi of ANGERME has made it into the Top 11 at the bottom of the list, but is certainly not at the bottom of your hearts. Endearing, talented, a powerhouse and more, she is certainly someone who has charmed many and earned her place as a fan favourite, and honestly, there is no wonder; Meimi is wonderful, and she is one of H!P's finest, if not best, singers that they have ever honed. So, yes, she does indeed deserve her spot here on the list, though I must admit, it would have been great to see her place a lot higher! Sato Masaki has managed to worm her way into the hearts of many with not only her weird ways, but also her vocal prowess. 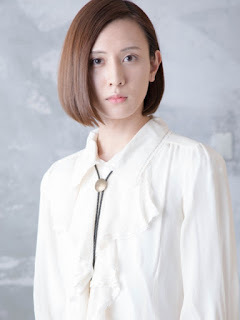 Certainly one of the better singers within Morning Musume '15, it's a good thing H!P are using her well as a front girl, because let's admit it, Masaki knows how to use her status as a front girl to the fullest. Charming, fun, talented and energetic, Masaki is someone that I admittedly did not find a standout until, well, she opened her mouth and showed us all what she was really capable of, and for the year of 2015, there is no denying that she has been a standout member of MoMusu, and proven her worth as a front girl. 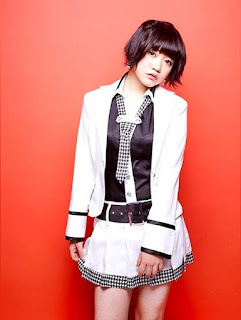 I get why people like her, and I can see why, for many H!P fans, she is their Idol of 2015. I have stopped following the 48's properly as of this year, and honestly, I have no clue what Yamamoto Sayaka has been doing, but according to my friends around the world (ie, Hannah), this has been her year, and she has apparently been smashing it royally. She's also the only non-H!P Idol on this list, so it goes to show that, for my dear friends and readers, she is a cracking Idol that beat out the likes of Tamura Meimi and Sato Masaki. Nice. What I do know of Sayaka is that, other than being a pretty stellar Idol, she is a wonderful performer and a pretty good catch. I think she's a good singer, though I have not heard her in a while, and she even snagged center for an AKB48 b-side song on Takamina's graduation single, so that must mean something. Aside from that, I have no other clue, but I know she's wonderful for many, and of course, so great she became the only Idol outside of H!P to top this list. Would be even better if she got #1 though, ayeee? Still, she's amazing in her own right, and I have a feeling her recent role in Triangle may have to do with her getting onto the list. That, or her wonderful dance style and, clearly, her flawless pictures that really make me think damn, this girl has model potential when she doesn't do her shark smile. Well, this one is no surprise for me (or anyone else, for that matter...) because Rikako has really been loved this year by all, especially now that she has properly debuted as a member of ANGERME and shown how peppy, cute and adorably energetic she can be. Really, this girl is a ball of energy and happiness, and when you see her perform live or in a music video, you can't help but fall in love with her, because she is the sort of Idol you want to see everywhere; an Idol who genuinely loves what she does, brightening the stage and bringing people to life as she does so. Rikako is, in short, just like the sun. I'm actually surprised this kid isn't any higher, because she is one who has been talked about a lot and certainly loved a great deal, and from what I have already said about her, I can see why she is adored. She is a great girl, and she is a perfect addition to ANGERME, and yeah, I wish she was higher on this list, but it is what it is. At least she made it on here, though! In all honesty though, when it comes to Haruna, she is a great addition to Morning Musume '15. I mean, she can't sing, we all know that, but what she lacks vocally she makes up for in other aspects. She's a great talker, she's fashionable, she knows how to work the camera, she looks after the other members, she is caring and sweet... the list goes on, and it's clear that everyone else can see the charm and loveliness that is Iikubo Haruna. Seriously, she's glorious, and you can all see it, too, which is why she's #6 on this list, and #1 in the hearts of many others. Really, I was expecting a #1 spot for this kid, but being in the Top 5 is spectacular in itself, too, and hey, can I blame y'all for putting her so high up? Nope, I can't, because Duu is ah-mazing, and don't you know it! Talented, cute as heck, boyishly charming, a flirt, camera perfect, a bundle of joy, etc etc... this girl is everything you could ever want her to be, and more, which has always lead me to wonder just why H!P has never truly pushed her as a front member, at least, not until this year, that is. Really, it baffles me, because this kid is Ace material, more-so than Masaki, even more than Riho. I mean... look at her, listen to her! She is AWESOME!!! Essentially, Duu is perfect, at least for MoMusu standards, and I do hope that in 2016 she gets the push she deserves, because it would be a shame for H!P to continue wasting her talent and only keeping her as PV eye candy. She is worth more than that, and I know a lot of fans will agree with me on this one. Also, thank you all for voting for her, because she just completed the 10ki quartet on this list. GO 10KI!!! Regardless though, I know Chissa's a great girl. Awesome singer, great Idol, and an all-around personality who has become a hit on TV as of late (which may actually be why she is so high on here, hrm...), there is no doubt that Chissa is someone a lot of people like. Heck, I like her, too, though she was recently surpassed by Nakky in terms of C-utie favourite. Also, Chissa's god-damn beautiful, so I do get it, but in the nicest way possible... how did Chissa do better than Meimi!? Either way, congrats to Chissa! Keep making your fans happy, girl! Now this comes as no surprise, because let's be honest, us Western fans love us some Zukki, especially when our girl leads a song in a pretty awesome single that she just so happens to rock. Not only has she shown that she is talented and wonderful as a center, but she also brought back her smile this year, too, and that made us all even happier, I bet! So yeah, no wonder she made it into the Top 3 here, because she has really made many fans happy this year. Heck, she probably made us cry, too, when leading Oh My Wish, but those were tears of joy, we swear!!! Seriously though, this has been a great year for the Zuk, and you guys have clearly watched her blossom and bloom into something more in 2015. as well as shine brighter than ever in her career as an Idol. Okay, so I admit, I have little to no clue about this kid other than that, as a Kenshuusei, she was insaaanely popular, and then as a member of the newly debuted Tsu... Kobushi Factory, she became even more popular, and since then, she's blown up as on of H!P's promising young talents that many love and adore for how great she is, as well as for her adorableness. Though honestly, her tiny facial features kinda freak me out, but whatever. Y'all love her, and that's all that matters. So yeah, whilst I don't know about this kid much, you all know her well enough to put her so high up on this list, just one jump shy from the #1 spot itself. Clearly there is something about her I need to watch out for, and hey, maybe next year I'll finally give Tsu... Kobushi Factory a chance, because let's just say this year, I kinda don't care. Again, maybe next year! Well, I can't say I'm surprised, because. y'know, she graduated, and a lot of people are going to miss her, because it's Nyon, and as annoying as I found her to be, I know she was loved a great deal. That, and she was talented, popular, cute, one of H!P's better singers... the list will go on, but in short, she was a great member of both ANGERME and H!P, and has been a part of the Idol world for so long, 10 years, about? So, yeah, of course she would be adored by all many, and it is no wonder that you guys voted for her to become your #1 in this years Top 11 Idol Ranking list. Really though, Nyon was a great addition to Hello! Project. Sure, she was never my absolute favourite, in fact when the second generation of S/mileage came along, I really didn't like her, but I could never fault her talent or charm. She was cute and fun, and though a bit narcissistic in an annoying sense, Nyon was an undeniable talent, and one of the best from current H!P, though not the best, it has to be said. Heck, she's had the time to grow, and it shows as time has gone on, from when she started out as an Egg to her final stint as a member of ANGERME; she is a good singer, a great dancer, and in her growth she has honed these skills, and shown us all that there is more to her than just a cute face and a vain character. Now, she has matured more, and gone down a path different to what anyone would have anticipated, I believe; she is now a song writer, one many find to be talented, in fact, allowing us to realise that there truly is more to the Idol we grew to know and love these past years. For many, she is the Queen of 2015, and though she is no longer an Idol in this realm, she will remain the #1 Idol, because I know that, even as a non-fan of Fukuda Kanon, she is one of the shining stars of H!P that can never, and will never, be replaced. To those who voted for Fukuda Kanon, congratulations, she won the vote! I hope you're all grinning with glee, right now! ... And now for the special mentions! LET'S GO!!! ... And now, this technically-H!P Fan Vote is over! I hope you all enjoyed voting for the girls you love, and even if they didn't make it into the vote, please keep on loving those Idols dearly, no matter what! A Fan Vote truly does not determine how you should feel about a girl, nor does it mean that these Idols are absolute favourites for everyone else. These girls here just so happen to appeal to the masses, or at least, the readers of this blog and my friends! Hopefully though, you keep on loving Idols, and looking for more groups to follow in the on-coming year of 2016! And now it is time for me to go. Thank you all for participating in and reading this fan vote! I truly hope that for this year of 2015, your Idols have wowed your hearts and made you the happiest you can be! Until next time, please take care, stay happy and healthy, and of course, love those Idols! 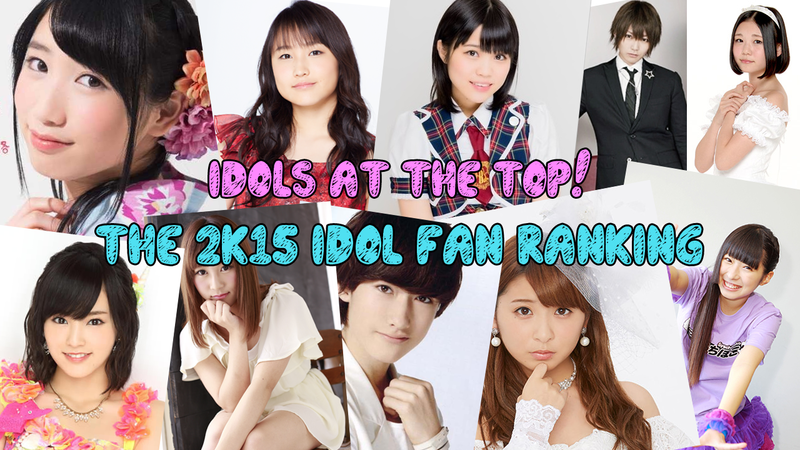 Maybe it's timing, but I was very surprised that Kanyon is at the top of these rankings! It seemed like the fandom abandoned her in recent years. The power of graduation is strong, and the ranking happened at an all-time high for her profile, I suppose. Also, Riho not cracking the top 11 with her impending graduation? Timing again? Just in cast I'm misrepresenting myself, I'm not angry with these results at all. Frankly, they don't matter much or carry too much significance if your number one is Eripon. It's just lots of fun to see the results and overthink and analyze ... which is why any of us do any of this(?). TRUTH: I'm procrastinating an assignment I have due in a few hours. Big lolz to me. Honestly, I didn't think Maro would win; in fact, I thought if it was gonna be anyone, it would be Rikako. 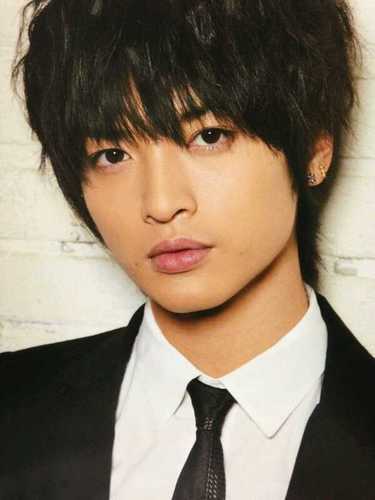 I mean, Maro's great and all, but as you say, it feels as if the fandom abandoned her long ago once 2ki came along. Then again, graduations; they are powerful things, and I have a feeling people have been looking back on Nyon's 10 years fondly. I think Riho not cracking the Top 11 could be due to her sudden grad announcement. Less time to look back, and all. Honestly, this is just what others feel, and as you say, your #1 is Eripon, and you know that well, so it shouldn't matter any. But yes, I do wonder why people choose who for whatever reason. It's fun, and it gets me wanting to research these girls or learn more about them, knowing others like them so. ASSIGNMENTS! Did you ever get it done?